BDS organizations claim they managed to force cargo ship working with ZIM to change route rather than dock at Rades, Tunisia port. 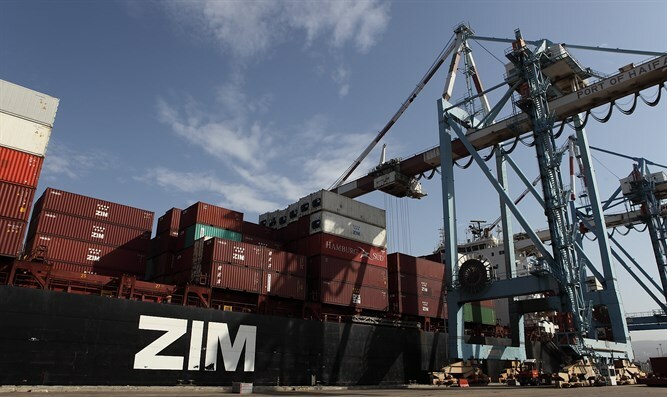 A ship leased by the Israeli ZIM shipping company was forced last week to change route that originally passed through the port of Rades in Tunisia on its way to Spain. The ship left the entrance to the port of Rades after anti-Israel boycotters threatened to block the harbor and port workers threatened to refuse to handle the cargo if it anchored at the port. As a result, the crew had to change course and continue straight to Spain. 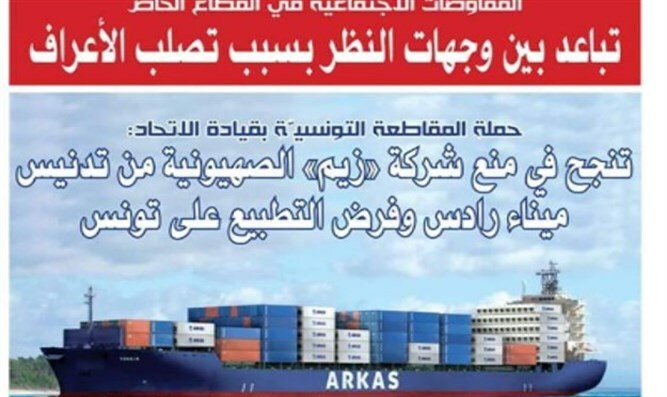 News of the ship was conveyed by the General Federation of Labor in Tunisia and the TACBI organization, which works for an academic and cultural boycott of Israel. 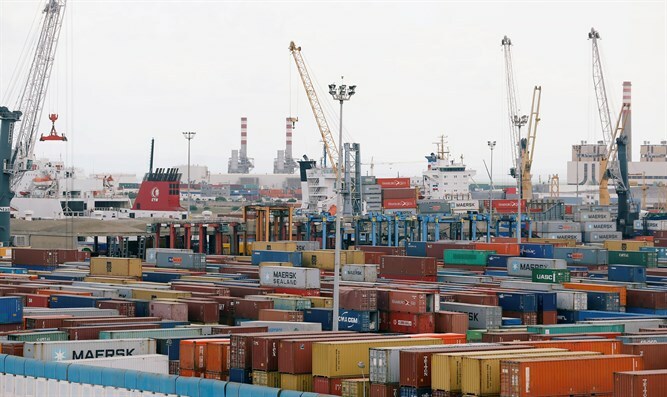 Organization operatives in Tunisia claimed the attempt to dock in the Tunisian port is "part of a hidden network of trade with Israel that violates the boycott of the State of Israel." Attorney Nati Rom, founder of the Lev HaOlam organization that fights the global boycott said, "Unfortunately, it was no surprise to hear the news. ZIM, like many Israeli companies, continues to be hurt by the boycott movements that spread lies about Israel. "The boycotts in Tunisia prevent cooperation that will ultimately only harm the citizens of Tunisia. It also joins Tunisia's refusal, which was blocked by the organizers' pressure, to host the Israeli chess winner in the international competition. Our organization continues to make contact with citizens across Africa who don't give in to BDS dictates and want to know the truth about what's happening in Israel. We must continue strengthening our ties there. I hope change in regard to Israel will come."